Hazel seed oil is given to be a quickly absorbed light facial oil, which is great especially for dehydrated skin. Pogostemon Cablin Oil, aka patchouli, known to stimulate the growth of new skin cells apart from smelling divine. It is especially said to provide fast wound healing (source). Rosewood is given to aiding rejuvenation of the skin. There is unfotunately fragrance in the mix, which might be of concern if you are sensitive to that. Dendrobium Phalaenopsis is the Orchid which gives the oil its name is given to be great for hydration. On my slightly damp skin, I apply this facial oil straightly. I found that 5-6 drops is optimal for my skin condition at the moment. I suspect though in winter I might need more. I like using Facial Mists before Facial Oils. I am going to share a few of those I am loving at the moment in another post. The oil smells divine and it doesn't sit on the skin. I feel like this doesn't get soaked in as quick as Black Orchid but still my skin feels good after the application. I am missing squalane here which I got used to so bad. I purchased a bottle of pure squalane in Japan after the recommendations in the last post. I am mixing it with this one to make it more complete in terms of anti-aging ingredients. 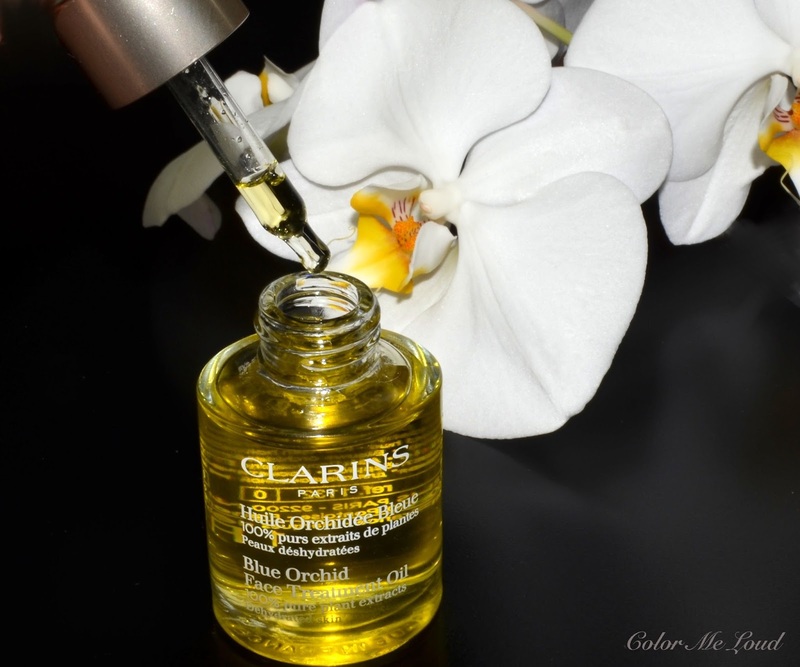 One of the things I love most about Clarins Blue Orchid Face Treatment Oil must be its smell. It is a gorgeous woody smell which is not too heavy but very calming. With some of the smells I can't sleep at night, but this one takes me to the most sweet dreams. In the morning when I wake up, my face feels smooth and hydrated. I don't feel that it is very much nourished so need to add my cream on top for this purpose. All in all a great budget option for dehydrated skin types. I recommend you add your anti-aging on top. Final thoughts: I love the smell, the quick absorption and lightness of Clarins Blue Orchid Face Treatment Oil. It definitely helps to keep the skin hydrated and happy. I think it is best if you use it under or together with your anti-aging creams. Have you tried any of Clarins' Facial Oils? Which oil ingredient makes your skin happiest? Disclaimer: The product in this post was sent free of charge for consideration purposes. Hey Sara, thanks for the review! I'll have to replace the Sisley one at some point, and I'll take Clarins into consideration! I'll have to see just how much fragrance there is tho. I no longer like heavily-fragranced products! 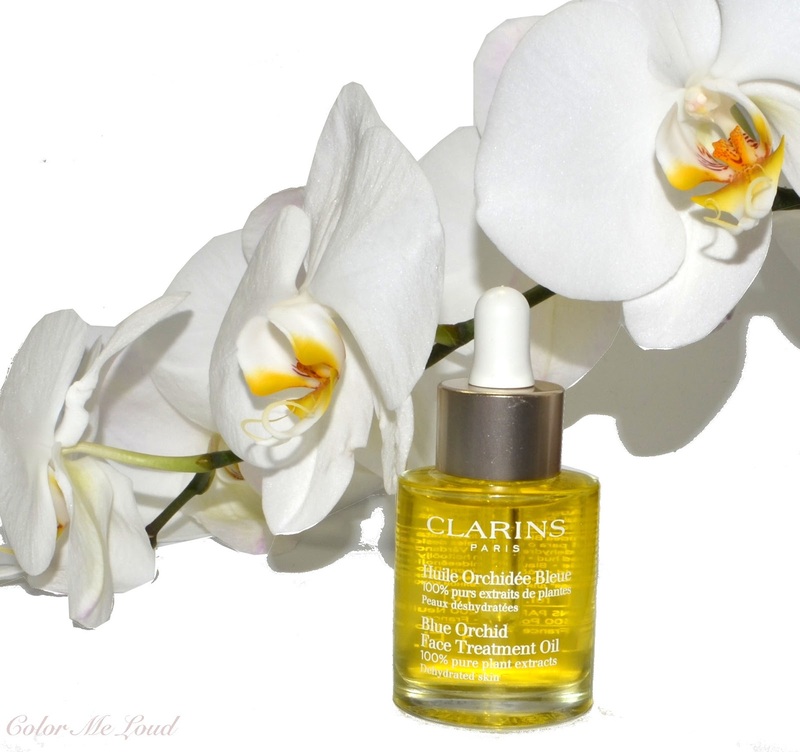 Clarins oils are really good and widely available. I have a mini blue orchid one which I need to use tonight. My skin decided to give me hard times after 32 years of behaving so well. Weleda almond oil is really good. Oh and if you like rose Alverde has a rely good one. I really like this oil. It's not the greatest oil I've ever tried, but it does the job and is on the more affordable side. I prefer to add this oil (and any oil really) as the last step in my skin care regime. Putting an anti-aging cream or serum on top of this may be a little counter-productive as all those good ingredients may not penetrate the oil. If I'm using this oil, I will apply my serum, then moisturiser and the apply just a couple of drops to face concentrating on my cheeks as this is where most of my dehydration is. Thanks for this review, Sara. I have been neglecting my facial oils lately as i'm testing quite a number of other new products, but at some point I've got to get back on track again! 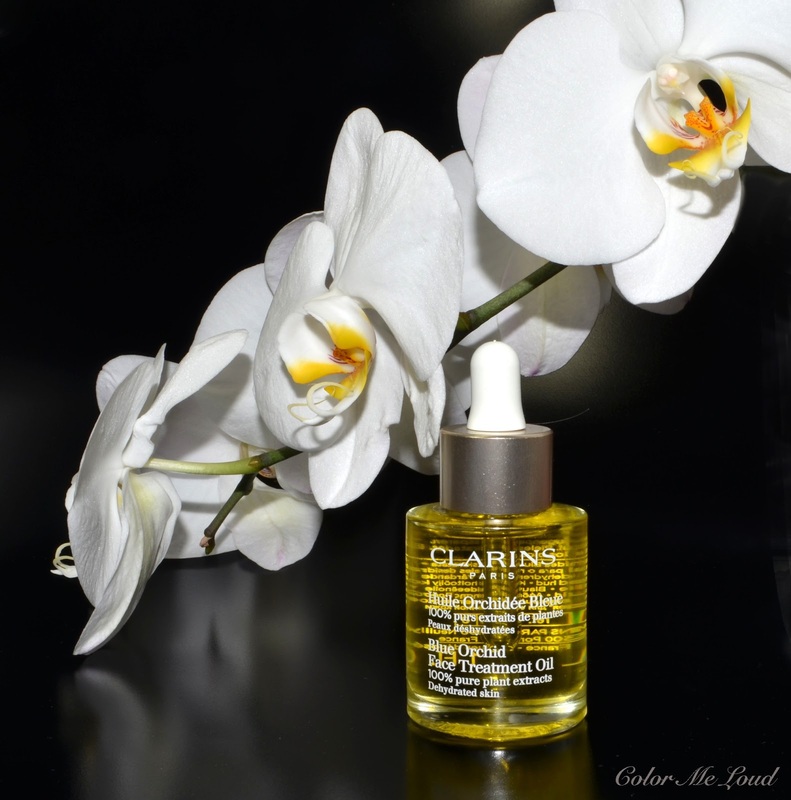 I bought this last winter when my oily skin got super dehydrated I had heard good things about facial oils and this is the one the Clarins rep recommended. I like it a lot.